Welcome to Parker Dent Company – a shop that provides the best service and care when it comes to repairing your car from Hail Damage. My name is Phil Howey and I have been a Dent Repair Technician for over 20 years and traveled all over the world and have worked on thousands of cars. I am passionate about this industry and care for your car like it is my own. 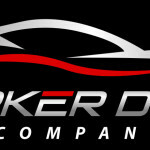 There are a lot of Paintless Dent Repair (PDR) companies in Denver Colorado however what sets Parker Dent Company apart is the level of service we provide and that we push the limits beyond the point that most paintless dent repair technicians will, in order to avoid body or paint work on your vehicle. We stretch these limitations because of our techs, who average over 14 years experience individually, are the best in town. We understand most car or truck owners want to avoid the body shop and the costly repairs to fix their vehicles and we are experts in saving you time and money while making your vehicle look beautiful again. Our team consists of highly trained and motivated individuals who love what they do. All technicians are required to pass stringent testing before they start working in the field. Don’t let another company use your vehicle for training. You can always rely on us for a quality repair. We have a wide range of customers which are always treated with courtesy and respect. We always listen to your needs and work out a solution that best fits the scenario. A large part of our business is auto body shops. We remove unsightly dents and dings to bring back the full value of your vehicle. We specialize in minor dents, dings, creases, & hail repair. Parker Dent Company is a locally owned and operated family business. 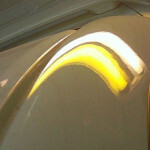 We have been in the PDR (Paintless Dent Repair) industry for over 18 years. We are consistently expanding our operations. We set the highest standards and bring new innovation to the auto reconditioning market. We strive to be the best at what we do and have a passion for the industry. When you choose us for your repairs, you receive only the finest quality service, with a satisfying personal experience. Unlike those large fly by night companies, we have stood the test of time and our work speaks for itself. Licensed & Insured Dent Repair Company serving all of Metro Denver and Colorado. Paintless dent removal (PDR) has become widely used over the past decade by, car dealers, rental agencies, auctions to prepare vehicles for resale. Yet very few consumers are aware the process exists. So what is Paintless dent removal? Paintless Dent Removal (PDR) is the art of removing minor dents and dings without sanding, filling, or painting. A Technician removes dents and dings from the painted sheet metal panels of a vehicle using a specialized set of tools and techniques to carefully “massage” out the damage without affecting the paint. Many dents and dings can now be repaired without a trace, when the work is performed by a skilled technician. 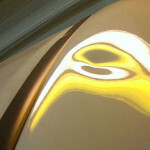 And techniques have developed to the point that dings can be removed with the original paint in place. PDR is so effective for hail damage that the majority of insurance companies use “hail teams” that “chase hail.” These teams travel to an area that was hit by hail to repair vehicle damage using PDR techniques. PDR removes dents and dings without sanding, filling, or painting. This means you have no chemicals involved in the repair process. You are not adding car panels to a junk yard and you have not purchased new ones. If you are looking to trade in your lease or sell your car in the future you could be loosing money. many dents and dings can cost you big money when turning in a leased vehicle, by choosing PDR you aren’t a victim of excessive end-of-lease charges. If you choose to opt with traditional auto body repair techniques, the chances are extremely high that your car is left in the shop for several days or weeks, which should never happen when choosing the Paintless option. With PDR you have a thirty minute to three day turnaround time depending on if you need one dent taken out or if you have extensive hail damage. Body filler and repainting will always mean that traditional auto body repair will always be more expensive than the Paintless alternative. Additionally, traditional auto body repair is much more labor intensive, which often makes Paintless dent repair up to 75% less expensive. When it comes to fixing that nasty dent on your vehicle, traditional methods are rarely the best choice. Paintless dent removal is more effective at maintaining your vehicles value, it is the least expensive option, retains your factory finish it is much better for the environment, as well as saving you a lot of time.